MISSION STATEMENT & PROJECT GOAL: Build an aquaponics system which maximizes crop yield per square foot and share that design under an OPEN SOURCE license for anyone to improve upon, modify, and use for producing organically grown food in their local area. The ultimate goal of building and improving this system is getting as close as possible to an annual crop yield of 1 Million pounds of organically grown food per acre. UP TO 20 TIMES THE CROP YIELD PER SQUARE FOOT (or more): I’ve designed a self contained vertical aquaponics system which MAXIMIZES the annual food yield per square foot of land to 20 times or more than traditional flat farming row crops. 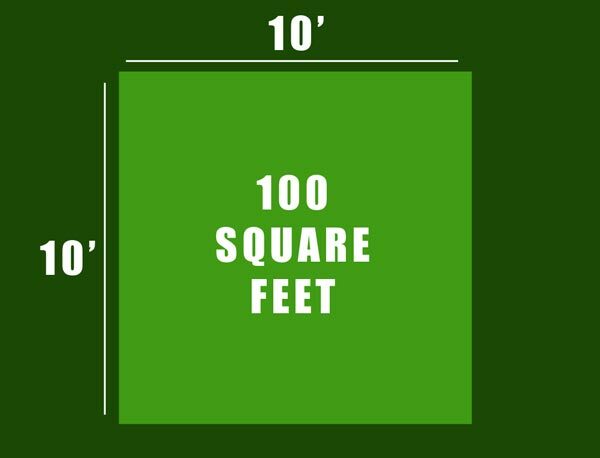 100sqft FOOTPRINT: Each module covers a horizontal area of only 100sqft which means almost anyone can build one of these modules in their back yard without taking up much space at all. 2000sqft VERTICAL GROW AREA: Each module has a vertical grow area of 2000 square feet. VERTICAL AQUAPONICS SYSTEM: This system is a vertical aquaponics/aeroponics hybrid system used to grow fresh fruits, veggies, and fish. 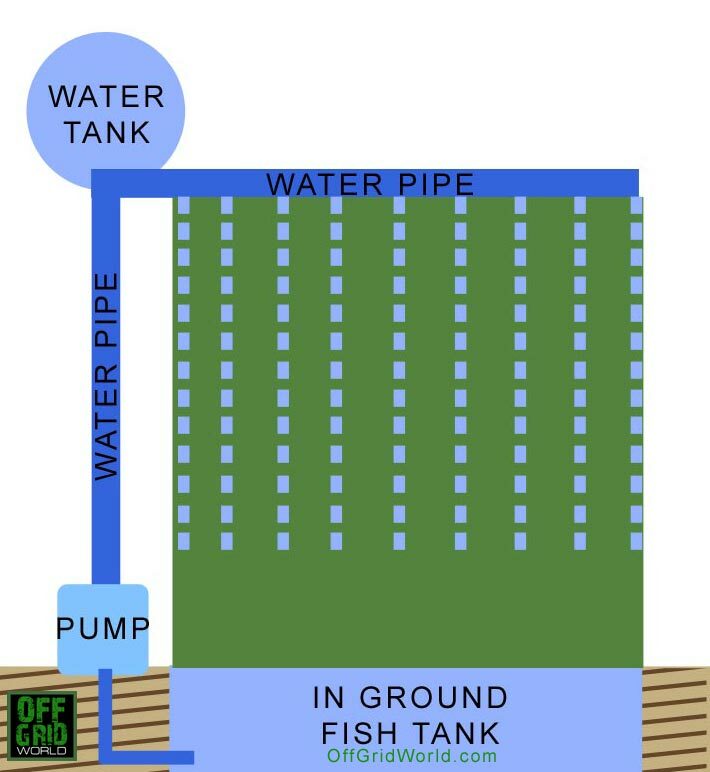 The water is circulated using a pump in the ground tank, up through the piping, and down over the planters. The water is filtered through the plants, and the fish waste provides the needed nutrients for the plants to grow. ULTRA HIGH DENSITY VERTICAL GROWING: Growing vertically allows you to grow more plants per square foot than traditional growing. The unit stands 10 feet tall and we reduce the amount of space between plants to increase the number of plants per square foot vertically and horizontally. GROW POCKETS & CUPS: (experimental) It uses a hanging vertical pocket/cup system which practically removes the need for growth medium. In a sense it’s a combination of aeroponics and hydroponics, except the watering/filter system is natural and there are no rocks, gravel, or clay growth media to weight down the system. SCALABILITY: A large part of making this system work is the ability to scale the system up, in order to produce even more food. Ultimately the goal is 1 Million pounds of organically grown food per acre. MAXIMUM SUNLIGHT: Plants need sunlight, water, and nutrients to grow. 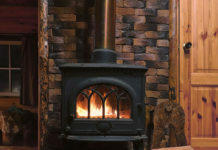 This system is designed to provide all 3 in a system with a tiny 100sqft footprint. 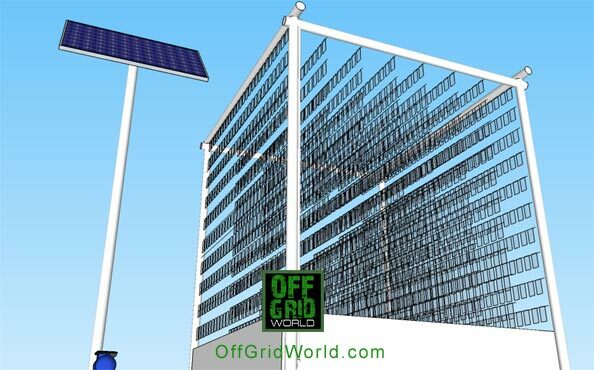 24V SOLAR POWER SYSTEM: One 250 Watt solar panel will power a single water pump, and charge a 24V battery system. 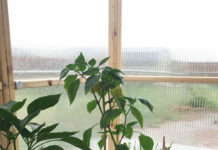 YEAR ROUND GROWING: The system is designed to be covered with clear plastic sheeting during winter months, converting the system itself into a greenhouse. OPEN SOURCE: The design will be released to the public under a Creative Commons OPEN SOURCE share and share alike non-commercial license. I’m Open Sourcing my design so others (universities, educational institutions, companies, farmers, growers and individuals) can use the system to help increase their yield, modify the design, improve on the design, and or use it to produce crops for commercial sale. The only thing you CAN’T do with my design is sell the design itself or patent it. Since it’s been released under a creative commons share and share alike license, anyone who uses the design MUST make the design available for everyone to use under the same license, or they break the license agreement. 2250 GALLON IN GROUND GROW TANK/POND: The fish grow tank/pond is 2250 gallons. Each tank can hold 1 fish per 2 gallons. That’s 1125 fish, at 1.5 pounds average harvest size. That equates to 1687.5 pounds of fish. $10,000 FUNDRAISING GOAL: This covers all expenses for the farm, including equipment, tools, materials, permits, and seed to start to build the INITIAL FIRST system. After the first system is built, the estimated projected cost for each single unit will be approximately $2000 including the solar panel and pump system. COMMUNITY INVOLVEMENT: We can maintain and grow the farm by working with local community members, restaurants, and food retailers. VOLUNTEERING & EDUCATIONAL WORKSHOPS: Once up and running, we can also educate and employ volunteers, and local folks who’d like to learn about how to grow their own food and produce. GROWING LOCAL: Anyone can set one of these systems up in the local community and grow for for themselves and their community, or start a business selling organic food. You could also simply build one in your backyard and grow your own food. Previous article4 Things You ABSOLUTELY Need To Survive! 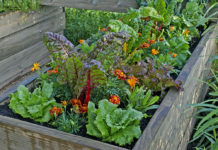 Next articleHow To Feed The World: Grow Food, Not Lawns! Not really expensive at all. The prototype would be the most expensive part of the system. 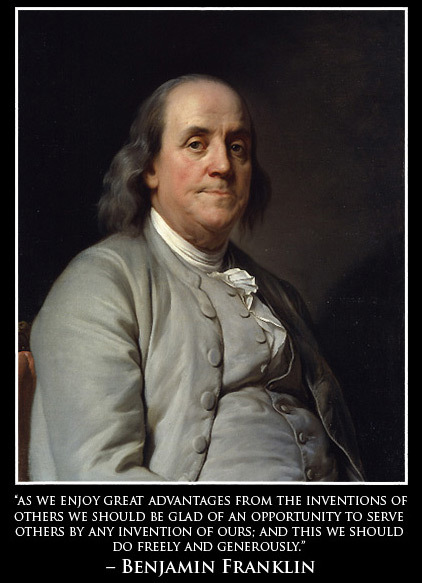 However once the first unit is built, and experiments are performed, the cost for subsequent units will decrease. Hmmm, I might actually try to build one. Who s behind this idea? 🙂 I have blueprints for smaller systems, but would be nice to have blueprints for this one, schematics or anything. So would be nice to take to the guys behind this idea, to see how far they have come.